NEW ORLEANS (AP) — NASA is moving a massive liquid hydrogen tank to Huntsville, Alabama, for testing as part of its plans to eventually return to the moon. 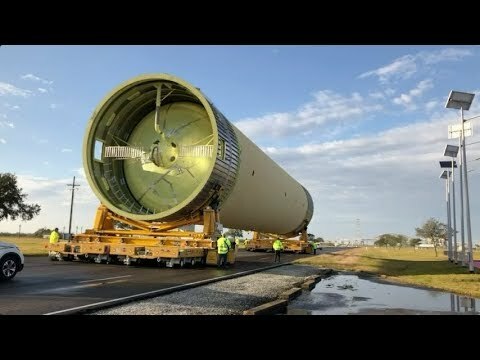 The version moved Friday from NASA’s Michoud Assembly Facility in New Orleans is a test model, meaning it won’t actually be launched into space. The testing is intended to make sure that the tank design can withstand the worst-case conditions, said Sam Stephens, test manager for the Space Launch System’s core stage. NASA also runs computer models to simulate all the conditions the tank might encounter, Stephens said. “It’s a pretty good size. It is the biggest tank we’ve ever built and it’s going to go on the largest launch vehicle we’ve ever built,” he said, referring to the U.S. The information learned from the testing will help scientists as they’re building future tanks for the Space Launch System.